it´s Astronauts release day. We are very happy to announce that today ( March 8 ) is the official US release day for our new album Into Bass And Time. Woohooo the day has come. It´s our second studio album on ESL Music and it features our trademark variety of conscious Hip Hop, Dopebeats, Funk and Reggae. Our collaborations on this album reach from former collaborators Azeem, Raashan Ahmad, Phat Old Mamas, Entropik and DJ Zeph to new partners in crime Akua Naru, W Ellington Felton, Monsoon, DJ Brace, Dave Finnell, Kiran Gandhi and Will Rast. 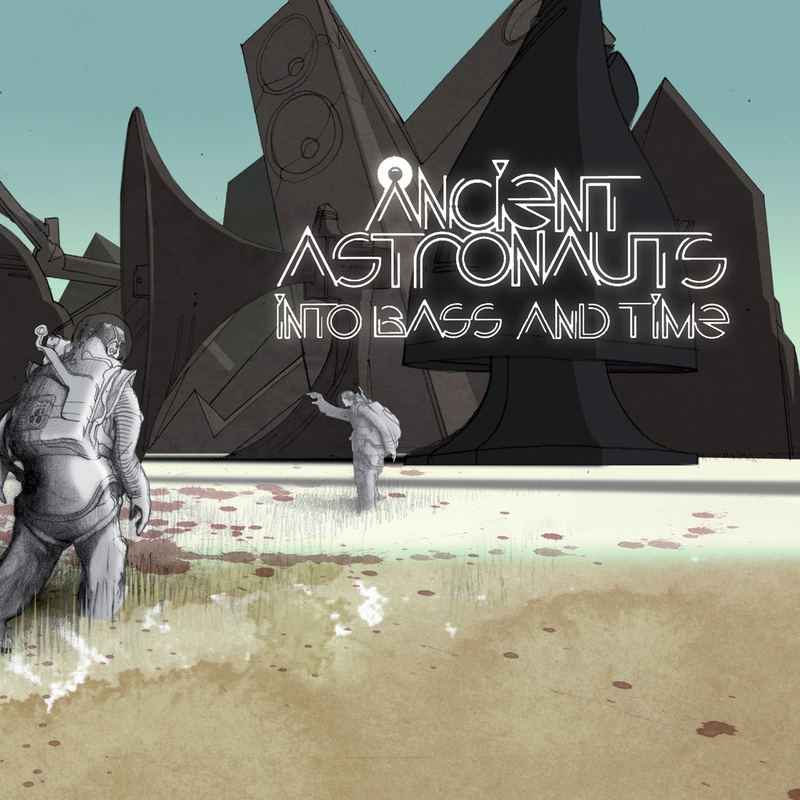 UK graphic artist Will Barras, our partner for all Ancient Astronauts art and design, took it to next levels with the artwork for Into Bass And Time rounding up a bass- and beat-heavy album that rides through different cosmic music genres. Enjoy the ride! We are starting our US release tour very soon and will be visiting Washington DC, SXSW Festival in Austin, Oakland, San Francisco and Los Angeles this time. Please check the Dates Section for more information! Big up, brothers!! So excited for the new album and for your upcoming tour!!! Hallo, das neue Album ist echt spitze. Danke! 8-BIT GUYS, BRING BACK THE 8-BIT TOO! and I in love with the name ! retro-futuristic epcltroeop FTW !